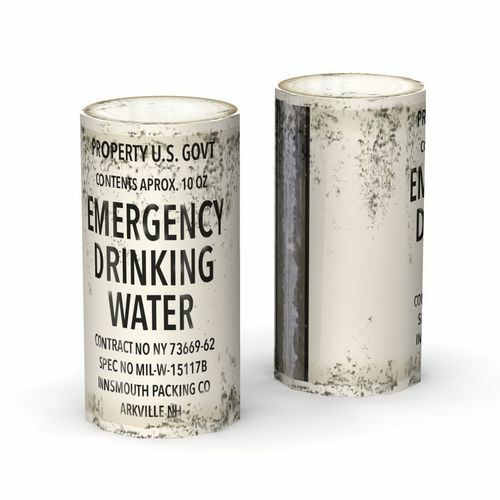 U.S. Civil Defense Emergency Drinking Water. Can is aged. Texture is 1024 pixels.